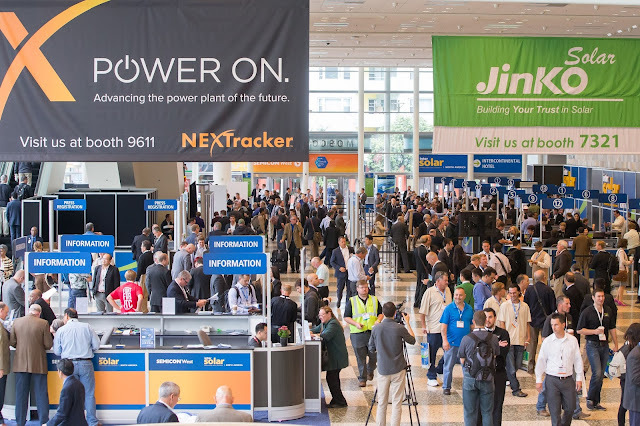 Thousands of visitors packed San Francisco's Moscone Center West today for the opening of the Intersolar North America exhibition, the most-attended solar industry event dedicated to the North American market. During a special ceremony on the exhibition floor, winners were named in the fourth annual Intersolar AWARD for Projects in North America. The ceremony also honored former California Assembly person Nancy Skinner with the Champion of Change AWARD, which is presented in conjunction with the California Solar Energy Industries Association (CALSEIA) to an individual who demonstrated an outstanding commitment to supporting renewable energy at the national and international levels. The Intersolar AWARD, now in its eighth year, promotes the industry's power to innovate. 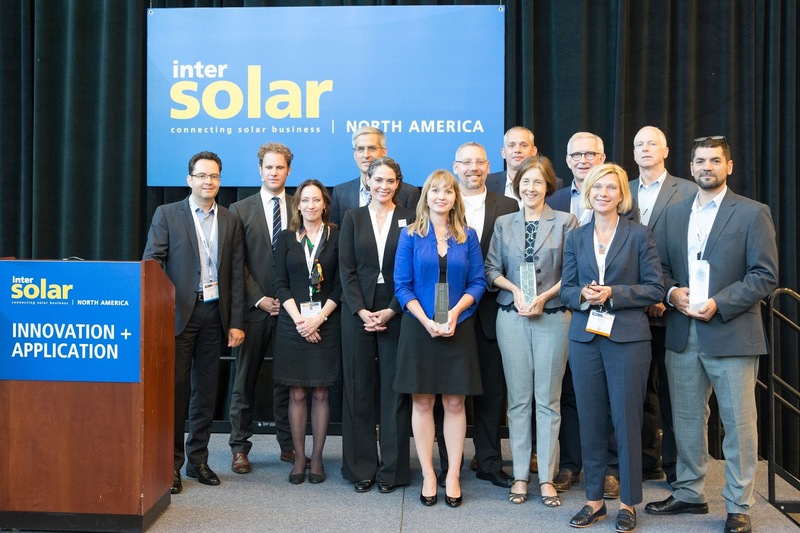 The AWARD ceremony at Intersolar North America brings together Intersolar exhibitors, representatives and decision-makers from the international solar industry. The winners of the "Solar Projects in North America" category were selected by an independent committee of industry experts and trade press, and were chosen from a pool of nine finalists. Since 2012, this category recognizes landmark projects that exemplify a high degree of technological innovation, uniqueness, economic feasibility and benefit to the environment and society. The three winners were: OutBack Power's GridZero System at the Haliburton Soap Factory; Solar Frontier's Catalina Project; and tenKsolar's installation at the Daughters of the American Revolution's Constitution Hall. OutBack Power won the AWARD for its GridZero System at the Haliburton Soap Factory in Ontario, Canada, an ingenious power management solution that demonstrates how solar energy and energy independence can work in small towns for people on fixed incomes. In absence of net metering, this project resulted in a 50-percent reduction in utility costs, and showed the viability of solar in areas where the rate structure would not otherwise support solar power. Solar Frontier utilized unique technology, streamlined installation processes and a solar-wind hybrid collaboration to develop the 82.5 MWp Catalina Project in the Mojave Desert. The project represents their largest application of CIS technology, and is an important demonstration of the technology at scale. In addition to boosting the amount of solar energy on the grid, this project also contributes to meeting new environmental mandates for improving overall air quality and will produce enough energy to power 35,000 households. tenKsolar developed an innovative solution to design a solar system when faced with architectural and spatial challenges at the Daughters of the American Revolution's Constitution Hall. This project faced numerous regulatory, structural and other challenges, due in part to the building's designation as a national historic landmark. The jury was impressed by the resourcefulness of the contractor, and demonstrates the potential solar has to contribute to the energy mix in imperfect settings. Assemblyperson Skinner Applauded for Energy Storage, Net Metering Policy Efforts.